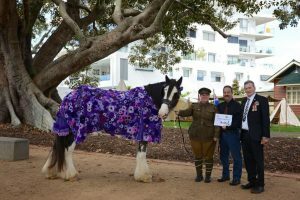 This ANZAC Day AWAMO donated to war animal re-enactment groups that help educate Australians on the role animals played in war. 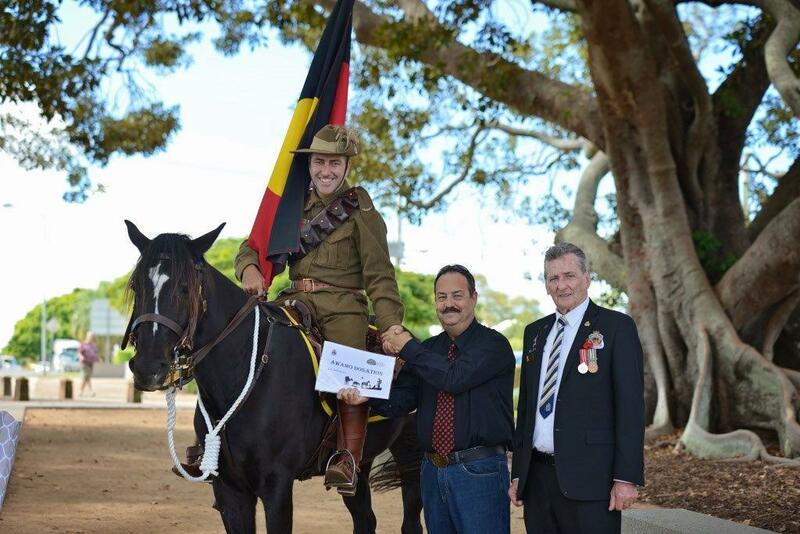 AWAMO President Nigel Allsopp, and Vice President of Redland RSL Ian Gray, presented several donations at the ANZAC Day parade at Cleveland this year. 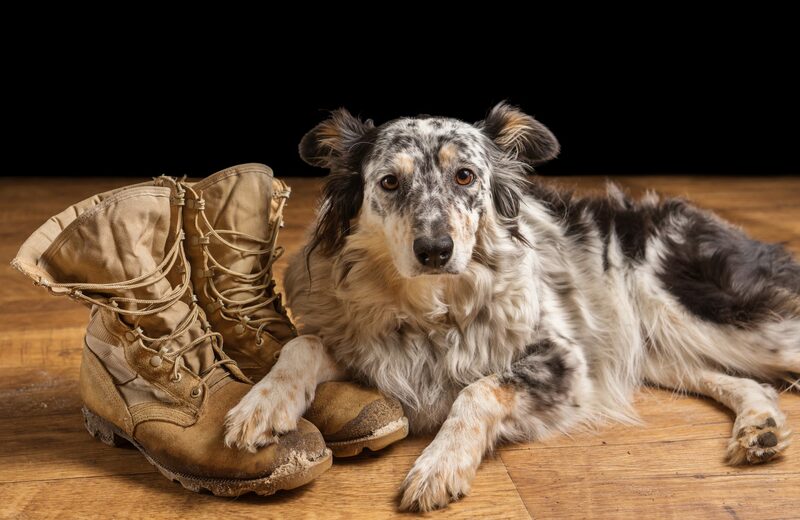 AWAMO would like to thank Redlands RSL for their continued administrative support and a special thanks to Pine Rivers National Serviceman’s Association who jointly donated funds with AWAMO allowing both financial and material support to “living” animal associations. 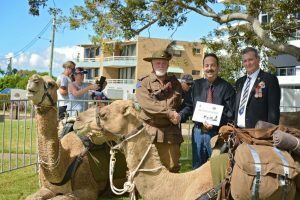 AWAMO donated several uniforms to Camel Corps re-en actors and some fiscal funds to assist in there display attendance. President of AWAMO stated “it is so important to show that Camels and other animals served in WWI not just horses”. Pictctured above, AWAMO President Nigel Allsopp and Vice President of Redlands RSL Ian Grey presenting Lionel Keegan with a donation. Picture: AWAMO President Nigel Allsopp and Vice President of Redlands RSL Ian Grey presenting the Australian Army Veterinary Corps Troop (AAVC) with four WWI designed saddles for the Troop. President of the AAVC Troop Peter McLaughlin said these additional saddles will help new members and the next generation of kids to ride with the Light Horse Troop. Picture: AWAMO President Nigel Allsopp and Vice President of Redlands RSL Ian Grey presenting Alexa Waldau with a donation to keep AWAMOs heavy horse representative “Pilot” fit and healthy. Pilot is a great ambassador for his breed and shows the public the real work horses of the AIF were the Heavy equines that did all the logistical work.